The Donald J. Reynolds Journalism Institute has updated its calendar of free workshops and webinars from now through May 2011. And Media Bistro has its current course list available through the end of March. The Reporters Committee for Freedom of the Press has opened up applications for its Journalism Fellowship for 2011-2012. The Journalism Fellow will be responsible for ensuring that our publications are appealing to and understandable by our core readers — journalists who do not have any special legal knowledge. The fellow will serve as the primary editor of our single-topic guides and our daily news product, making sure the web site is updated regularly. Applications are due March 1. The We Media PitchIt Challenge is a seed-stage investment competition that offers a $25,000 sponsorship and expert advice to help each of two winners turn their bold ideas into something real. The PitchIt challenge serves as a laboratory, classroom, showcase, incubator and forum for ideas shaping our connected society through innovative uses of media, communication and technology. Applications are due March 1. The Poynter Institute is holding a webinar, Understanding Internet Basics for a Better Online News Operation, March 2 at 2:00 p.m. EST. This Webinar will introduce technical terms and concepts such as Web addresses and protocols, which will help you solve problems and give you new confidence when talking with your technical team. The cost is $27.95. The Donald J. Reynolds Journalism Institute is holding a free Webinar, “Covering the Green Economy – A Western Perspective,” in Los Angeles March 4. The daylong workshop will help you learn the latest sustainable trends impacting your local economy and will give you practical tips for navigating one of the hottest topics around. Join Hacks/Hackers NYC on March 9 at New York City to learn how the analyses were done, the importance of independent validation checks on data, and see further examples of their work. Registration is $10. The Poynter Institute is holding a webinar, Short Narrative Bursts: Social Media Writing, March 9 at 2:00 p.m. EST. This Webinar will help you apply traditional writing strategies to social media platforms. The cost is $29.95. Knowledgewebb is joining with the Society of Professional Journalists to do a webinar – Getting Started: Mobile Reporting and Publishing – March 9 from 2-3 p.m. EST. The webinar is free, but you must register to attend. Join Digital Journalism Task Force Treasurer Melanie Eversley of USA Today for a free webinar: “Some Multimedia With That Story?” This 90-minute webinar will take place Friday, March 11 from 11:30 a.m. to 1 p.m. EST. Three panelists will discuss mapping out a story from conception, reaching out to other parts of the newsroom and brainstorming ways that social media, video, reader interaction and other tools can help bring new and eye-opening dimensions to your work. Click here to register. The International Reporting Project announces a two-week Gatekeeper Editors Trip to Indonesia on May 6-20, 2011, for senior U.S. editors and producers interested in learning more about this important country in Asia. Applications forms for this trip must be received by the IRP by March 11, 2011. The Donald J. Reynolds Journalism Institute is holding a free live chat with Bloomberg’s John Gittelsohn on real estate March 16 at 1:30 p.m. EST. He will discuss key housing trends to track locally. ProPublica is holding its first live event — Long-Form Storytelling in a Short Attention Span World — March 16 at Tishman Auditorium, 66 West 12th Street, New York City. The event is free, but you must make a reservation. The Conference on International News, Technology and Audiences will be held March 17-18 at the University of California-Berkeley. The conference will bring together a broad range of academics, journalists and industry representatives in order to focus on some of the emergent, boundary-crossing constellations of news, technologies and audiences. Registration is $250. The Knight Digital Media Center at UC Berkeley has opened applications for its 2011 Multimedia Training May 15-20. The workshop offers intensive training that covers all aspects of multimedia news production; from basic storyboarding to hands-on instruction with hardware and software for production of multimedia stories. Participants will be organized into teams to report on a pre-arranged story in the Bay Area, and then construct a multimedia presentation based on that coverage. Applications are due by March 18. The Donald J. Reynolds Journalism Institute is holding a free Webinar, “15 Red Flags When Editing Business Stories: Online,” March 29 at noon or 4:00 p.m. EST. This free Webinar aims to bring business copy into your comfort zone — or at least closer to it — by exposing the biggest pitfalls editors and reporters face in dealing with business topics. The Online News Association and the Freedom Forum Diversity Institute are co-sponsoring a one-day workshop — The Mobile Migration — at the John Seigenthaler Center on the campus of Vanderbilt University in Nashville that will share real world information about delivering news and information for the small screen. The event will be held April 1. The cost is $50, with discounts for ONA members and students. The Institute for Interactive Journalism and the McCormick Foundation are seeking to fund four women-led projects that will rock the world of journalism. The McCormick Foundation’s New Media Women Entrepreneurs program will fund individuals who have original ideas to create new Web sites, mobile news services or other entrepreneurial initiatives that offer interactive opportunities to engage, inspire and improve news and information in a geographic community or a community of interest. Applications are due April 4. Check out NABJDigital’s profiles of winners Dr. Michelle Ferrier and Retha Hill. The Donald J. Reynolds Journalism Institute is holding a free Webinar, “Telling Business Stories with Soundslides” at Southern Methodist University’s Umphrey Lee Center in Dallas, April 8. Attendees must be registered for the Society of American Business Writers and Editors spring conference April 7-9. March 3 is the deadline to apply for the 16th annual Minority Writers Seminar to be held April 14-17 at the Freedom Forum Diversity Institute at Vanderbilt University in Nashville, Tennessee. 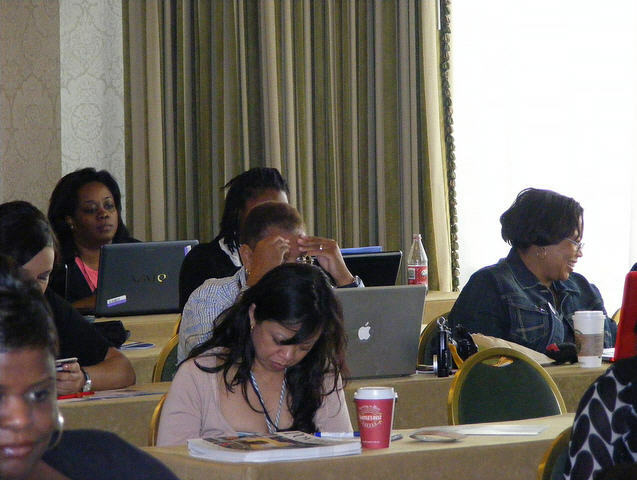 Experienced minority journalists receive intense training for writing opinion in a “boot camp” environment. The Donald J. Reynolds Journalism Institute is holding a free Webinar, “Covering the green economy – Follow the green money,” April 19 at noon or 4:00 p.m. Eastern time. You will learn the skills to find the green money trail on your beat. He’ll show you how to track green stimulus projects and identify the other cash trickling from Washington into your backyard. Social Media Club’s Social Media Camp: San Diego will be held April 30. Social Media Camp is a one day education and networking event for the local community of social media professionals and those seeking to learn social media in a high energy, collaborative environment. The main focus of Social Media Camp is to provide a low cost opportunity for the unemployed and underemployed to learn core social media job skills that will help them find a new job, or get ahead in the job they have. The Donald J. Reynolds Journalism Institute is holding a free Webinar, “15 tips on time management for business journalists,” May 3. Participants will learn simple things they can immediately incorporate into their daily work and personal lives that will allow them to juggle more efficiently. You can attend the hour-long, interactive session at either noon or 4 p.m. EDT on May 3. The Donald J. Reynolds Journalism Institute is holding a free Webinar, “Beyond Google: Mining the Web for company intelligence: Online,” May 17-18 at noon or 4:00 p.m. EST. Here’s a chance to learn the tools and techniques that competitive intelligence experts use every day — and that you can use to keep tabs on the companies on your beat. Internet Week New York City is being held June 6-13. Internet Week is a week-long festival of events celebrating New York’s thriving internet industry and community. The Society of Professional Journalists will be holding its annual Reporters Institute for early-career broadcast journalists at the Poynter Institute in St. Petersburg, Fla., June 12-15. The cost is $300 plus travel costs. Applications are due March 1. The Knight Digital Media Center at UC Berkeley has opened applications for its Web 2.0 workshop June 13-17. This training takes participants through the progression of reporting news for multiple digital platforms, starting with quick text posts and moving through photos and video and finally ending with a full multimedia presentation. The workshop provides hands-on training using Twitter and Facebook for reporting and driving web traffic, creating data-driven map mashups, dynamically updating a blog for breaking news, publishing photo galleries and audio slideshows, producing videos and editing videos using Final Cut Pro. The deadline to apply is April 15. The #140conf: NYC – Exploring “The State of NOW” will be held June 15-16 at the 92nd Street Y. The Donald J. Reynolds Journalism Institute is holding a free Webinar, “10 Tips for Turning National Stories into Great Local Ones,” June 21 at noon or 4:00 p.m. EDT. Listeners will learn how to localize hot national stories. The Society of Professional Journalists will be holding its annual Reporters Institute for early-career print/online journalists at the Poynter Institute in St. Petersburg, Fla., July 10-13. The cost is $300 plus travel costs. Applications are due March 1. The Donald J. Reynolds Journalism Institute is holding a free Webinar, “Unlocking Financial Statements,” July 18-22. The weeklong online seminar covers income statements, balance sheets, cash flows and writing about numbers. The National Association of Black Journalists is holding its annual convention and career fair Aug. 3-7, 2011, in Philadelphia. Professional journalists, students and educators will take part in full- and half-day seminars designed to strengthen and enhance their skills. Workshops throughout the five-day convention will highlight journalism ethics, entrepreneurship, specialized journalism and transitioning journalism skills to book publishing, screen writing and media relations. The Society for Features Journalism is now taking applications for its 2011 Society for Features Journalism Diversity Fellowship, Aug. 24-27 at the Marriott Starr Pass Resort and Spa in Tucson, Ariz. The fellowship targets journalists of color who produce arts and features content for news organizations or those interested in pursuing careers in arts and features. Applications are due March 31. It’s the end of the month, so I need to clean out my Fast Five bookmark folder. So today, you get five plus five! And my 10000 Words streak continues, unabated. Enjoy!! Has The Digital Era Dumbed Down The Art Of Expression And Good English? What have we done to the next generation who will have more physically debilitating ailments such as hunched shoulders and arthritic fingers because of the constant stooping and texting that they do throughout the day in the shorthand that drives English teachers crazy? The battle to get students today, who find it easier to use shorthand and short cuts, to learn is not helping the United States to maintain its global supremacy. Other lesser developed countries still emphasize the first key to success – learning English. We may marvel that while our own children are failing their native language, we implore those coming to our shores to learn “our language.” We fail to practice what we preach and continue to shower our children with the state-of-the-art tools that keep them in step with their friends, but not in sync with the future. Technology does have its place, but conversation and grammar should also be in the forefront. It is crucial to our domestic security and business infrastructure. Charles J. Sykes highlighted much of these concerns in his book, Dumbing Down Our Kids: Why America’s Children Feel Good About Themselves but Can’t Read, Write or Add. 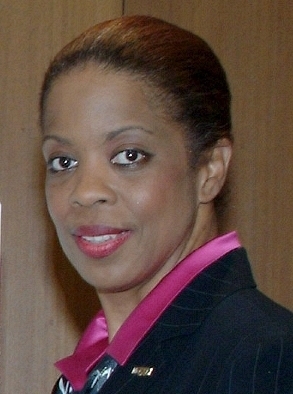 He cited findings from the National Assessment of Educational Progress (NAEP) in its 1990 report that only one in six nine-year-olds read well enough to “search for information, interrelate ideas and make generalizations.” Sykes goes on to discuss the implications as it affects the countries economic picture. He states that: American businesses are spending upwards of $30 billion on workers’ training and lose an estimated $25 to $30 billion a year as result of their workers’ weak reading and writing skills. Also, according to a survey by the National Association of Manufacturers, nearly a third of American businesses said the learning skills of their workers are so low that they are unable to reorganize work responsibilities. Without a command of the language and how to translate the information with understanding, we become dependent on others to speak for us. Our ancestors, who liked the college degrees and the journalistic chops, understood the importance of the spoken and written word in its basic elements. We are doing a disservice to the next generation by accepting the current trends in minimizing the written word and excusing bad behavior that supports lack of dialogue and discussion. I am a part of the “spell it out-speak it out” generation because I owe it to those who laid down their lives so that I could have command of the English language. This enable me to write a coherent sentence, conduct an intelligent conversation and make decisions based upon my own knowledge and evaluation. Last month, I had the pleasure of joining The Carnival of Journalism. You can read my Jan. 25 post about it here. Every month the group tackles a topic on improving and innovating in journalism. This month’s topic asked us to post about the following question: what steps can be taken to increase the number of news sources? We were asked to address the question via the 15 recommendations made by The Knight Commission on the Information Needs of a Community in Democracy. Heady stuff, huh? If I decided to write on all the recommendations, we would have been reading (and I would have been writing) for weeks. So I decided to focus on recommendation #11: Expand local media initiatives to reflect the full reality of the communities they represent. As a journalist of color, I have been very focused on ensuring that our industry understands the importance of having newsrooms that reflect the diversity of the communities they live in. In the old days, media companies could pay lip service to ensuring that they covered all the news in their community, since they were the only game in town. But with the advent of the Internet and all the tools that allow people to gather, report, write and disseminate the news, the power of the traditional media has been diluted somewhat. We see an explosion of hyperlocal news sites, like Oakland Local, DNAInfo, my home-town Baltimore Brew, West Seattle Blog and CTNewsJunkie as long-established newspapers cut their local coverage as budgets shrink. The deeper these sites dig, the more likely they are to cover the news that is of interest to a specific community. But groups are now trying to fill the gap in news that is of specific interest to minority communities. Some of my favorites are Greater Fulton News, which covers the African-American community in Richmond, Va.; Minneapolis-based Twin Cities Daily Planet, which says it was created to close the digital divide and help citizens empower themselves with media; Dallas South, created to promote positive images of African-Americans in order to combat the negative images portrayed in the popular media; and Oakland, Calif.-based shades magazine, which covers and highlights the concerns, issues and stories of all women of color (my NABJDigital profile of shades is here). Entrepreneurs Summit (NMWE). One of the women at our table asked her how she made news assignments. Her answer? “The community tells us and they are encouraged to write the story for the website,” she said. The front page of the website has an appeal for citizen journalists and includes a list of stories that need to be written, giving the power of the media directly to the community that wants — and needs — it. We see initiatives like NMWE and the J-Lab’s New Voices grant programs that help fund news initiatives in minority communities. New Voices gave a grant to Baltimore-based Morgan State University in 2010 to create the MoJo Lab, where students serve as mobile digital journalists, using video and audio podcasts, to focus on community issues in Northeast Baltimore. So here’s hoping — by hook or by crook — that communities continue to become a part of a media that has tended to neglect them in the past. Kiratiana Freelon is a travel blogger who is carving out her own path with her writing. I “met” her via Twitter, where there’s a very active community of black travel bloggers and tweeters. Right before graduating from Harvard in 2002, Freelon landed a $20,000 fellowship around the world. She decided to create a series of travel guides to destinations in the African Diaspora—destinations like West Africa, Paris, London, Brazil, and the Caribbean. She took the $20,000 trip around the world in 2002 and 2003. 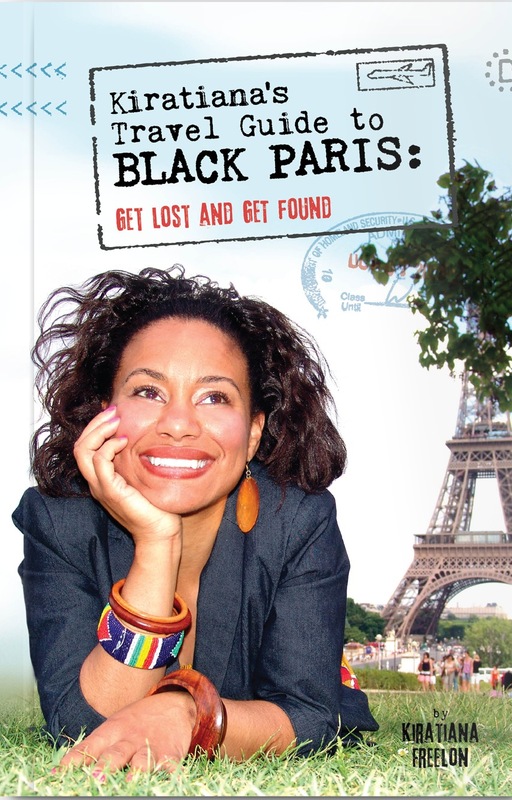 On April 6, 2010, Freelon received the first physical copy of her first travel guidebook: Kiratiana’s Travel Guide to Black Paris. In conjunction with the book, she decided to start a travel blog: Kiratiana Travels: Let a Black Girl Show You the World. Her goal? To inspire people to travel and live abroad. She is also the editor of BlackAtlas.com, American Airlines’ website that offers travel insights from an African-American perspective. Freelon spoke to NABJDigital on how she got started and advice for those who want to do the same. NABJDigital: What is your journalism/writing background? Kiratiana Freelon: I’ve been writing since forever, but the only “real” journalism job I had was for 1.5 years at a local community newspaper in Chicago, the Hyde Park Herald. Coming out of high school, I just knew I was going to be a broadcast journalist. I had completed the Northwestern Journalism High School Institute and I was headed to Harvard for college. There, I wrote for the Harvard Crimson and wrote and edited a book called The Black Guide to Life at Harvard. ND: How did you begin blogging? KF: I first heard of this idea of blogging in 2002 when I was graduating from college. I only knew of one person who had a blog. So when I moved to Paris, I KNEW that I wanted to share my experiences with people by blogging. Back in the day when I traveled around the world, I would just do email updates. So I started a blog called Black Girl in Paris, which I updated while I was living in Paris from 2005 to 2006. ND: How did you come up with the Black Girl In Paris blog? KF: Well there was already a book called Black Girl in Paris. The title just FIT me. I was literally a Black Girl in Paris and I was there to discover the black culture of Paris. ND: How did you end up writing the Black Atlas blog for American Airlines? KF: The opportunity became open at the perfect time for me. I had just published my book, Kiratiana’s Travel Guide to Black Paris. I was also establishing myself through social media by tweeting, blogging and attending conferences like SXSW and Blogging While Brown. When the position opened as editor, I had the right background for the job and a friend thought it would be a perfect fit. It’s an interesting position in which I get to write, interact with bloggers and manage social media. ND: What advice would you give to others who might want to begin blogging? KF: The first advice is to decide what you want to blog about. If you have passion for a subject material, then start stalking ALL the blogs on that specific subject. When I knew I wanted to be a travel blogger, I started reading TONS of travel blogs. Look to see how they are designed and what types of widgets they have. This is going to come off as rather snobbish but DO NOT use Blogspot to begin blogging. Yes, Blogspot is an easy platform to just start blogging, but it usually doesn’t project a professional image. It’s pretty easy to find a nice clean WordPress blogging theme. Check out freshworkshops.com for some great online tutorials on installing WordPress yourself. Additionally, blogging is all about community. Find the people in your niche and SUPPORT them and they will start supporting you. It can be as simple as retweeting them, or profiling them.